Save by combining your airfares and accommodations. 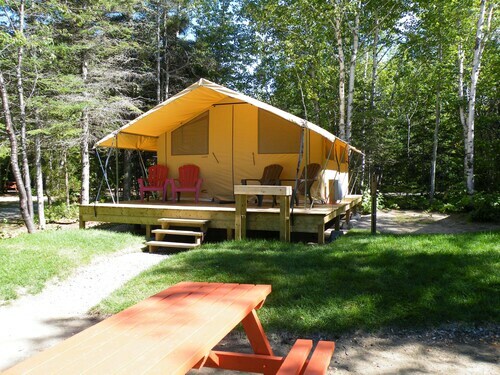 Expedia has plenty of outstanding Tadoussac travel packages that'll save you time and give you more cash to spend! Crafty travelers can gain savings of up to C$590* by getting a combined package deal on Expedia. Select from more than 400 partner airlines and 321,000 worldwide properties via our comprehensive database of lodgings and flights. Fly with who you want, stay wherever you want — now that's the ideal vacation! 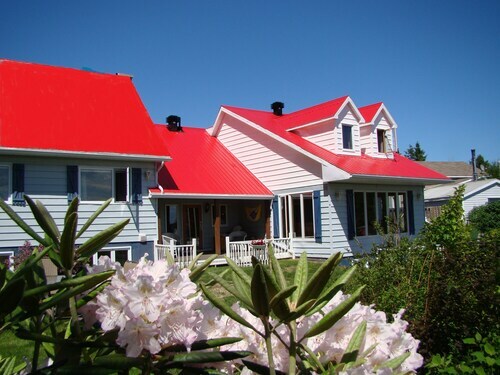 We have all the sightseeing info you need for your forthcoming trip to Tadoussac. Grab your travel diary and get ready to start padding out that itinerary. Whether you're trying to hit a hole-in-one or simply in the mood to have some fun in the fresh air, you're sure to have a ball (pun intended) at Club de golf de Tadoussac. There's a wonderful range of things to do in this destination. If you have an investigative mind, stop at Centre d'Interprétation des Mammiféres Marins. You never know what you'll discover here! Still got time on your hands? If you're interested in experiencing the area's history through its buildings, put Poste de Traite Chauvin on your must-do list. Ensure you stop and read any plaques or signs which tell the fascinating stories behind it. You don't have to stay in plush hotels or fly first class to have an outstanding vacation. Just jump into all the cool things you can do while you're there! Before flying home, why not consider purchasing a 3-Day Whaler Tour: Quebec City, Montmorency Falls, Tadoussac? It's an outstanding way to remember your trip. 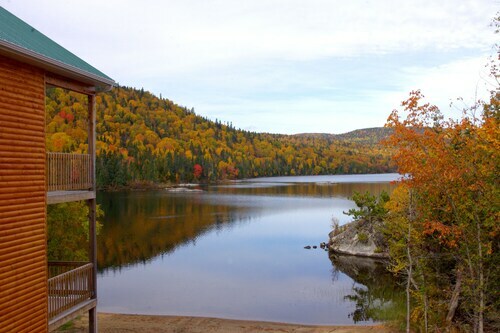 Jump onto our Tadoussac things to do page for a complete list. 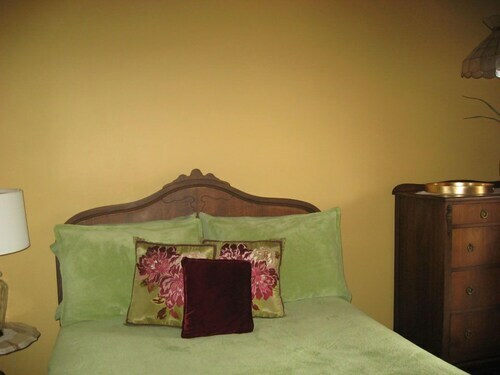 Tadoussac offers 14 properties located close to the middle of the city. Seeking out luxury getaways or cheap vacations? All you've got to do now is pick one via Expedia! 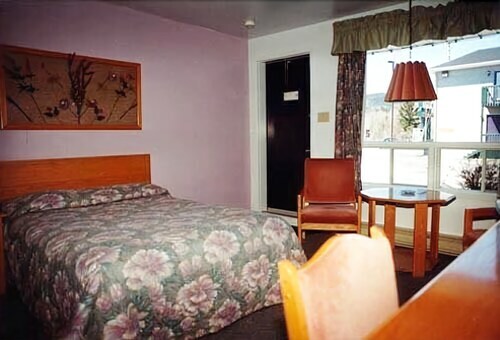 Have a look at the Hôtel Tadoussac (165, rue Bord de l'Eau) and the Auberge Maison Gagné (139 Bateau-Passeur). These sought-after properties not only come with cozy beds — they come with great reviews as well! 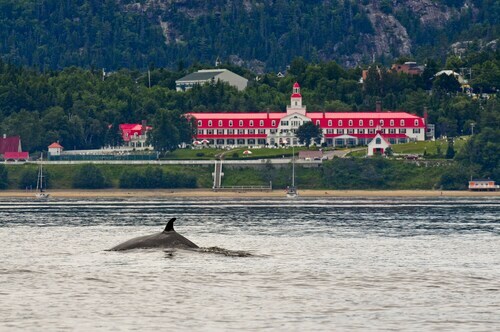 The airport probably isn't going to be the most memorable moment of your vacation, but there's nothing like the excited thrill of knowing that your well-deserved trip to Tadoussac is a mere plane ride away! Once you touchdown at Riviere du Loup Airport (YRI), you'll be 30 miles (48 km) from the middle of town. 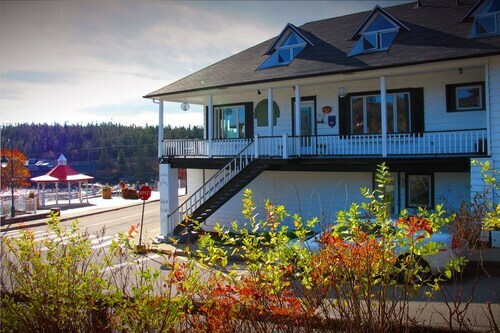 The hotel is on one of the best locations in Tadoussac. Really nice, friendly and helpful staff. Happy to help out with tips and making a booking for wale watching without (charging extra). Basic continental breakfast is decent value for money at 7C$/person - but as said it's basic. Great location!!! Clean, comfortable and easy!!! Great for kids! Beautiful views! The hosts were great, and the location is excellent! The decorating was tasteful and fun. Bright and modern. Great view of the bay from the dinning room. Creative delicious breakfast too. No ensuite, so we almost literally had to get dressed to go to the washroom down the hall in the morning. Awkward.